Players of the phenomenal mobile game "Pokémon GO" might want to reopen and update their app now because Pokémon Ditto has just been added in the app. Ditto or Metamon (Japanese) is a light purple, normal-type Pokémon. It looks like a blob, handless, but with two arms coming out of its body. The new Pokémon is powerful because it can replicate any physical object and can even mimic its enemies. The release notes of the latest update did not give away any significant information about the reveal of a new Pokémon. The app update fixed the egg-hatching cut scene animation, and some minor test fixes. It seems there is more to see in the GO update. Silph Road dissected the code of the latest Android application package or APK, and discovered that Ditto indeed is under the radar. There are also rumors that Totodile, Chikorita, Cyndaquil, Lugia and Ho-Oh may be included in this update. 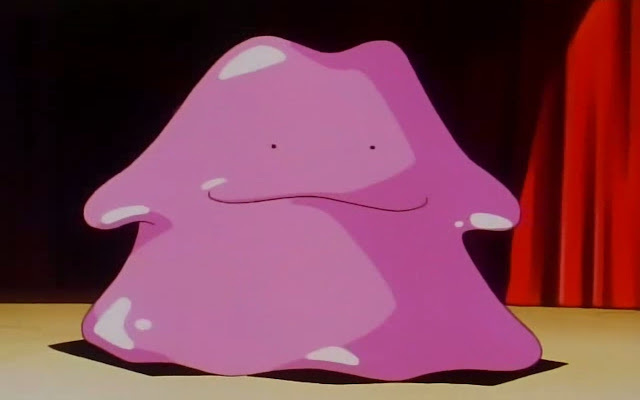 Ditto can appear as one of the regular Pokémon that is usually littered everywhere. Pidgey, Ratata, Zubat, Sparrow, and Magikarp, when caught, can morph into Ditto's original purple form. Trainers should not ignore these Pokémon because the only way to know that it is indeed Ditto is to catch them. Here's a video of Magikarp transforming into Ditto. Other news heard through the grapevine are the existence of code values "Shiny" and "Rare" in the backend of the 0.47.1 APK. In game development lingo, adding new codes may mean that the developers added some new elements in the game. These elements can be either a new Pokémon or a background filler. This codes may hint the appearance of "Shiny" Pokémon is on the radar soon. Shiny is a term used by the fans in reference to the sparkling animation and sound effects seen and heard when they catch these Pokémons. Glaceon, Skitty, and Delcatty are examples of Shiny Pokémon because of their rare colors. "Pokémon GO" is still available on Android and IOS.